• Appeared on "The Celebrity Apprentice Season 4." • He has an identical twin, also a baseball player. • In 1988, he became the first player in major league history to hit at least 40 home runs and steal at least 40 bases. 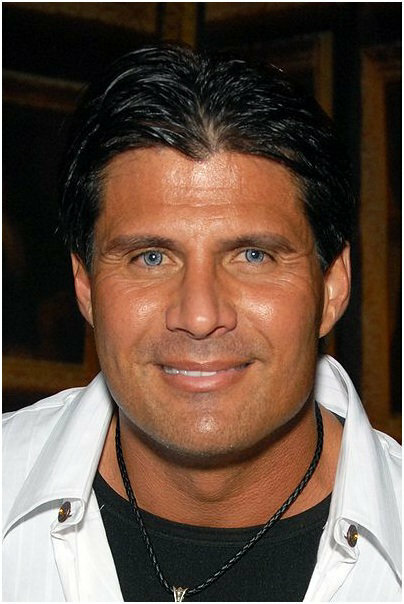 • Amazon Juiced - His book, Juiced: Wild Times, Rampant 'Roids, Smash Hits, and How Baseball Got Big,"
• Amazon Vindicated - His book, "Vindicated: Big Names, Big Liars, and the Battle to Save Baseball"
• CSNChicago.com - Jose Canseco is trying another comeback, tweets his plans to start spring training with Mexico's Quintana Roo Tigers" Feb. 14, 1012. • IMDB - The Internet Movie Database with a collection of photos, videos, quotes, and information.